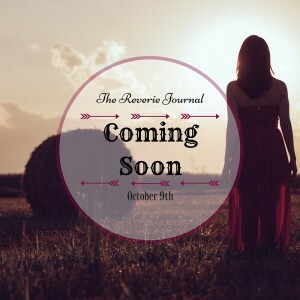 I’ve got one for you over at The Reverie. It’s interesting what someone else’s thought process can lead you to. Write up something and by all means link it up over there. I was going to reblog the post, but for some reason, I can’t do that to this blog. Oh well, this link will do nicely, won’t it? Also, since this is short on words, I thought I’d give you a video depicting my brink into madness…I mean, my latest NaNoWriMo video. You know that event that tens of thousands of international writers who are either devil may care, very enthusiastic or batsh*t crazy (or a fun combo deal) decide they’re going to write a 50,000 word novel in November. Who would ever think this was a good idea? Me. This is fun and I’m hoping that it’ll be just as fun to edit it. I’m going to need some really good music for that, I think. The set up for these videos are me telling about my writing, giving a tip that I’ve learned and then saying goodbye. It’s simple, I try to make them short. And I keep tweaking the design a little bit. Also in this one, I had meant to cut out a bit when I was singing and sounding like a Grade A fool. ::sigh:: I’m never going to be cool, am I? Regardless, the hints I’m pulling out for the most part, can just help a writer, period. Let me know what you think of all of this in the comments. How did I end up writing again for this Top 10 list? I dunno, maybe a bit of guilt, perhaps? …for being a “hardass” editor. This week wasn’t earth-shatteringly awesome, but it wasn’t bad either. Next Monday is The Mathemagician’s birthday! So his Mom sent him delicious snacks and since I live here and he thinks I’m cute, I had some too. So many snackies, so little time. One of my good blogging buddies MJM came over and graced my blog with his presence. I don’t know if you know him, but if you don’t, you should. He’s friggin’ hilarious. Also, I made a new vlog, thereby fulfilling the last promise that I had made for 2013. Upward and onward! When I post this it should be done and I’ll add it here. If it’s not edited and up…well then you have permission to tell me to get on it! I joined a 40 day yoga/meditation challenge. Ok, you can stop giggling now. I have to get better with my mobility. My knee was giving me fits the last couple weeks–like I’ve got a doctor’s visit plan for this type of fits. I think it’s mainly lack of exercising. I figure yoga should do some good. My wrists haven’t been in nearly as much pain, however, they still remind me who’s the boss and I’m spending less time on social media so I can write before they poop out at night. I’m soon going to have a proof of my poetry collection in my eager hands. Yay! Before I went to sleep the other night, I made a two page list of things that I’ll be doing next week during my work hours once The Mathemagician has returned to school/work. I shall be busy. None of my family was effected by the fracking chemical spill in West Virginia, but some friends were. Chemicals were spilled and now the water is highly toxic in eight counties in southern WV. Gov. Tomblin has declared a state of emergency. It’s horrifying and frightening, but what I’ve found wonderful is the people who are coming together and helping each other. That’s the true Mountaineer spirit and I hope people are safe and have drinking water during this terrible time. Sorry (not sorry) to end it with some realness, but this is what’s on my mind. When you parcel it out, there’s always something to be thankful. This week, I’m just thankful that I have running water that won’t potentially burn my skin or make me vomit-that I can take a shower. Feeling thankful for the basics.